Hiring? Toptal handpicks top interactive prototyping experts to suit your needs. For most product designers today, interaction design has become an indispensable skill. Everything is interactive. Designs with interaction, motion design, and microinteractions are some of the more challenging design aspects to convey to stakeholders, and designers need to have many tools at their disposal in order to demonstrate their vision. 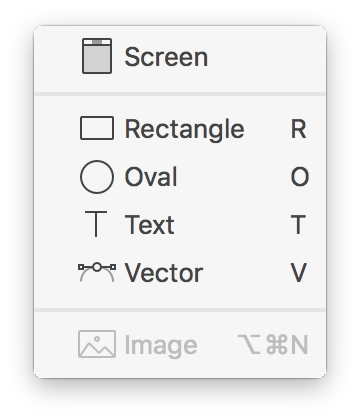 Every design tool available to designers takes a slightly different approach; none of them are perfect. Designers have to choose between infinite design freedom requiring advanced design and coding skills and somewhat limited software with which design concepts can be presented very quickly. 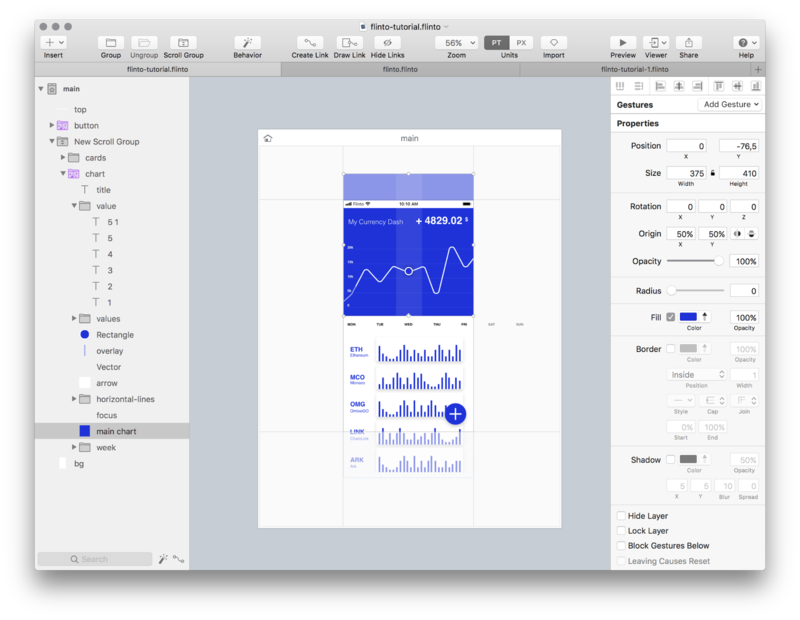 In this article, we will walk through one of these tools: Flinto, a design and prototyping tool that enables designers to quickly create microinteractions with motion between UI elements. 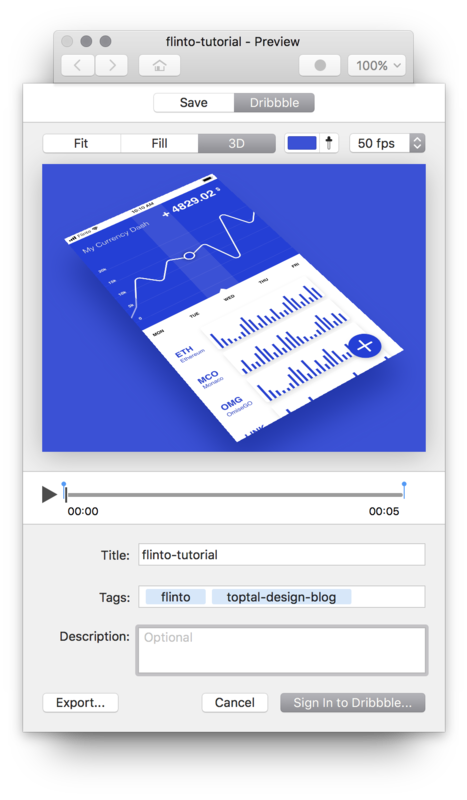 The Flinto prototype file presented in this tutorial can be downloaded at the end of the article. 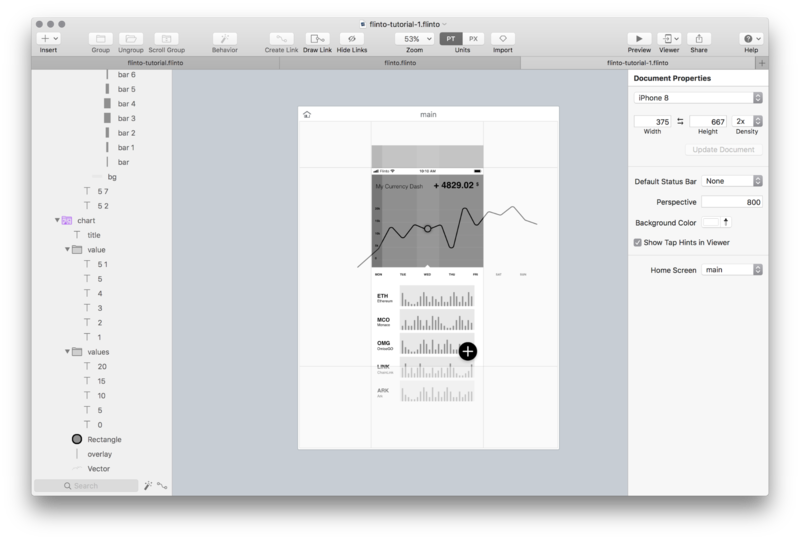 Most digital products are designed with a “mobile first” approach, so we’re going to prototype a mobile app. Flinto creates cool UI animations quickly and easily, and mobile dashboards are a good example in order to understand how Flinto works. We will design a simple, one-screen application prototype displaying the status of a cryptocurrency portfolio from scratch. 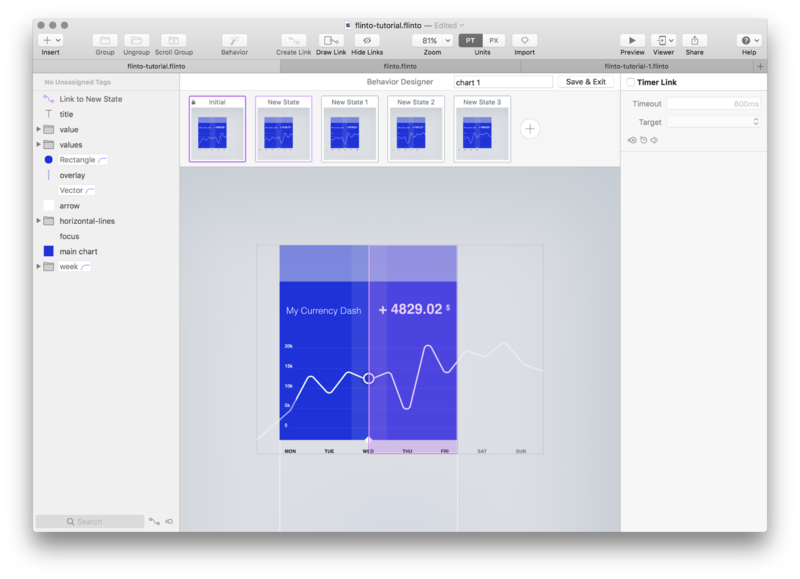 This app will have two types of graphs: a linear graph and a bar graph, one simple screen and one modal window. Let’s start by designing the home screen. 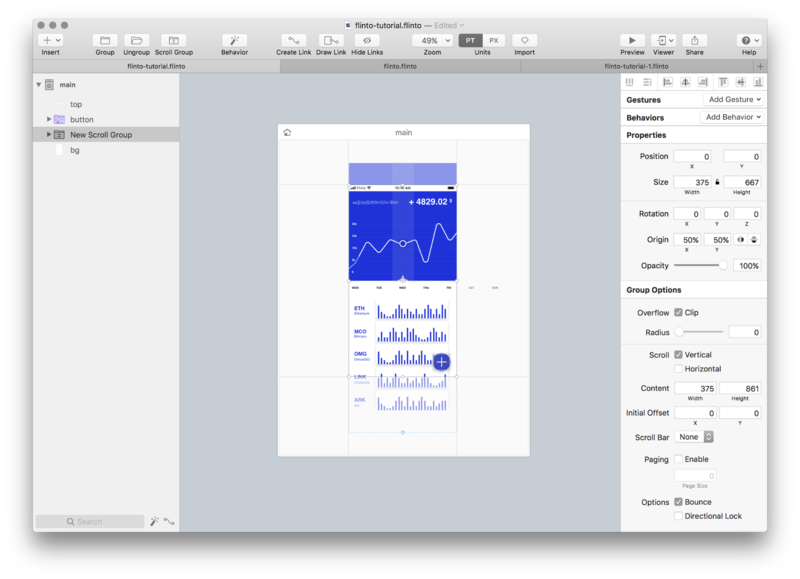 The design process in Flinto does not differ from well-known applications such as Sketch or Adobe XD; however, it is a lot more limited. 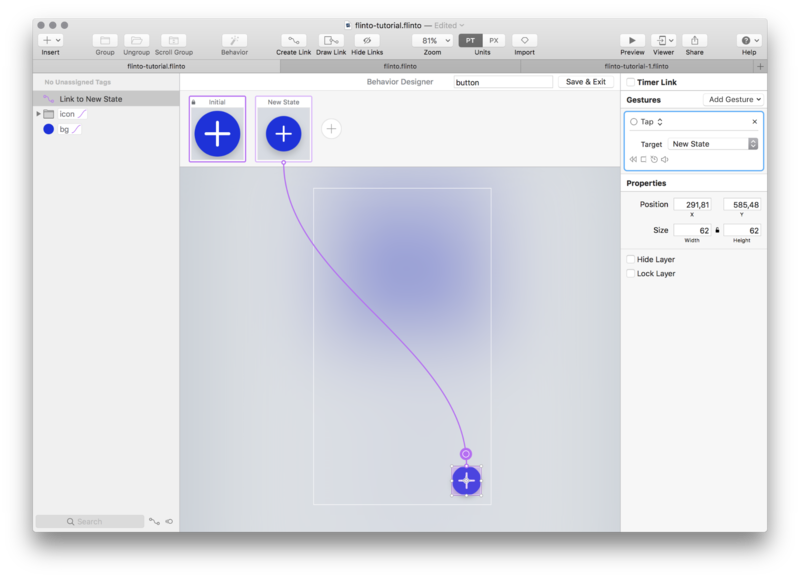 You can use Flinto’s Sketch integration to import your Sketch files—if you change something in Sketch, you can import the file again and update your existing design. At first glance, the Flinto interface seems to be very similar to other applications. 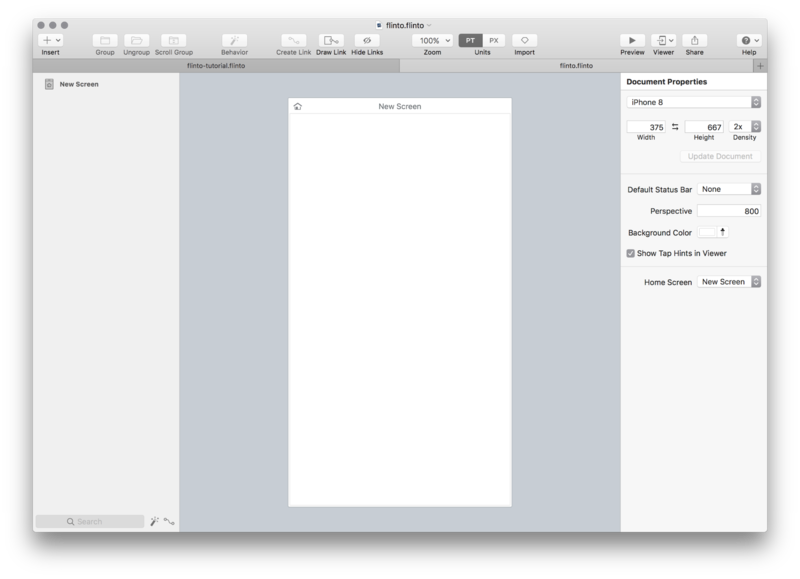 This is the screen that appears first after creating a new document. All document settings are in the right sidebar. It is worth enlarging the working screen by extending its window. In this article, we will use the default file settings for the iPhone 8. Something else to pay attention to are the tools. Rectangle, oval, text, vector, and image are all that are available. However, do not underestimate their strength—most modern interfaces can be designed by using them. Now we have a basic overview, we can start designing. Most of the interface will be designed using only the Rectangle tool. The exception here is a line chart that we will create with the Vector tool. All data points are distributed evenly, horizontally. 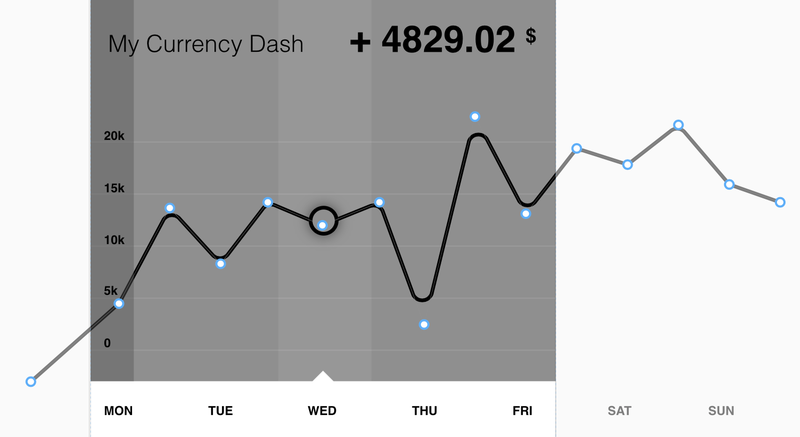 The main screen of our application contains one line graph with the axis of the weekdays and the axis of values as well as five smaller bar charts. Note that the entire design is larger than the iPhone 8 screen area—this will be used later. Once the design process is done we can start creating interactions. The design created so far is larger than an iPhone screen. This means the content needs to be made scrollable. In order to do that, all layers except the background and add button layers have to be grouped using the Scroll Group tool available in the top toolbar. Right now, the content is scrollable in all directions. To make content scroll only vertically, use the right sidebar and check Vertical scroll only. The prototype can be previewed using the Preview button available in the top toolbar. Scrolling is locked to only scroll vertically. Now let’s create a simple tap interaction for the action button in the bottom right corner. Select all layers that make up the button, then use the Behavior tool available in the top toolbar. This tool allows you to create different states for any element and animate between them—as many states as needed can be added. However, to provide feedback to a tap with a slight pressing down motion on the button, only two of them are required. The first (initial) state cannot be changed, and appears as it was designed previously. To add another state, use the Add button available in the behavior designer next to the initial state. After adding the next (new) state, you can change the appearance of any element. The interaction can be previewed by using the Preview button. At this point, we don’t have a return action back from the new state to the initial one. To fix it, select the new state card and check the Timer Link (right sidebar), as in the example below. It will automatically switch back to the initial state (you can also control the timeout and the target). Flinto is very intuitive and doesn’t require advanced skills in order to create a simple interactive prototype. Though it has its limitations (you can’t work on real data or create really complex prototypes easily), its main advantage is the ability to prototype and present ideas quickly. Download the Flinto prototype file used in this article here. Mobile design refers to the design of user interfaces adapted strictly to various types of mobile devices. It also requires the design of user interactions and experiences other than those on desktop devices. Mobile first strategy is a design process for responsive applications in which the creation begins with a project for mobile devices. Usability on mobile devices is put in first place. The main purpose of the dashboard is to display various data in a legible and user-friendly way. Most often, it is based on the analysis of data and their conversion into charts, tables, and timelines. Im looking to either prototype in Flinto or Principle. Rather than learn both, which one of the two do most people recommend to prototype an entire app? Which one has better gesture and animation support? Any thoughts on XD or InVision Studio?